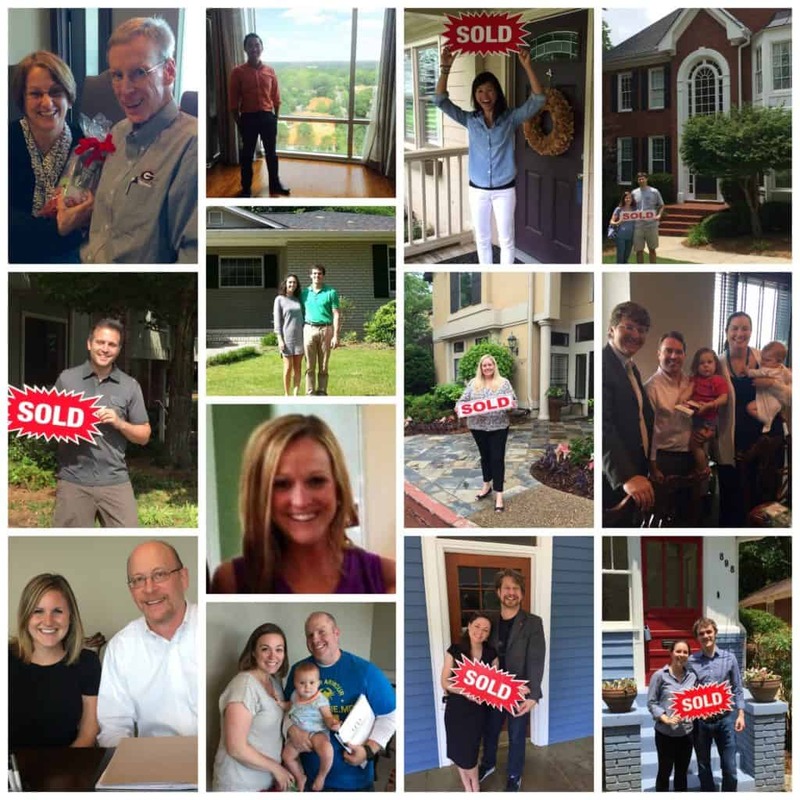 Congratulations to The Peters Company May Metro Atlanta Home Buyers ! Ben and Diana, I am beyond thrilled we found you your “Chip and Joanna Gaines” dream home! This home is absolutely perfect for your family and I know you will love living there. Seeing Diana’s emotions when we walked in was something I will never forget! Special thanks to Derek and Amy for referring us! Dean Family, You all were so much fun to work with and I loved meeting the entire family! I know Haley is going to enjoy and have a great time living in the Paramount! So glad we found such a pretty view of the city! Welcome back to Georgia, Roy and Claire! I know you are going to love being so close to your grandchildren! So happy we found you such a beautiful home where you can have all of your family come and visit! Enjoy that golf course view! And, a shout out to your daughter and son-in-law for referring us! Congratulations, Bobby on purchasing your very first home in the super trendy Metropolis building in Midtown! You were such a pleasure to work with – always on top of all of the details, and we sincerely appreciate your friend (and our past client) Angie sending you our way! The stars certainly aligned for you to be the very first – and last – person to see your amazing unit with views of Midtown and Stone Mountain! Let us know how “Wine Wednesday’s” go – maybe we’ll crash the party one week! Thanks again! Joey and Rebecca – congrats on finding and buying a great home in the awesome Aberdeen community in Suwanee! We know you and your boys will enjoy many years there (especially since we learned about your in-door slide!!). Of course, this house doesn’t have the mysterious “double basement,” but I think it checks all of your other boxes! After a crazy fews weeks of selling AND buying, it was great to sit at the closing table with your seller to see how everything truly worked out just as it should have. Special thanks to Russ and Kelli for referring us! Congrats, Robert on the purchase of your new home at The Landings in Sandy Springs. We are glad that your commute to work is almost non-existent now! And what a fantastic location – despite being so close to it all, you can still enjoy a quiet evening out on your patio! Another huge shout out to our friend, Dan Mallory, who referred you to our team. Thanks again for your trust in us, Robert! Congratulations on your first home Kate and Peter! Andy enjoyed meeting you guys years ago when you first moved to Atlanta! And, I got lucky that you rented for a few years before buying because I enjoyed working with the two of you so much. You knew you wanted to be in Inman Park and you found the perfect one for you – close to Krog Street Market and the Beltline! We know you will enjoy your new home! Shout out to Lauren for referring us years ago! Congrats, Kelly on buying your very first condo! As Peachtree Place’s newest resident you are going to love the fabulous Brookhaven location and a fun summer by the pool. Teachers make for the best clients, and you were no exception. You landed an off-market gem in a competitive market, and we couldn’t be happier for you! We love referrals. We love referrals from friends, and we love when referrals from friends become our friends. Carrie and Eric entrusted us with both the sale of their Chastain home AND the purchase of their next Chastain home. Can’t wait to do it again! Special thanks to Pete and Kelly for referring us! Congratulations Dan and Kathleen on your adorable home in Brookhaven Heights! After looking at many not so cute homes, we finally found a wonderful home with that rare 2 car garage! All of your patience paid off in the end! You handled this first home purchase like pros and with great attitudes even through a few bumpy patches and you always kept me laughing! I know you will love walking to that Starbucks and discovering all Brookhaven has to offer. Victor, we found another great investment opportunity in Marietta close to shopping, restaurants and the highway. Once you do some renovations, you will be certain to rent it quickly….oh wait, you rented it already!! Congratulations! Wow! You not only moved to Atlanta to start a new job , but you also bought a great house in Edgewood built in 1920 with beautiful heart pine floors and 10 foot ceilings! Emily, you can bike to work downtown and Tom, there is enough space for your home office. Congratulations on buying a fabulous home! Did you know? According to the National Association of Realtors, the average real estate agent sells 7 homes per year. The Peters Company has sold 91 homes so far this year with 20 more under contract and set to close in the coming months. Don’t settle for average! Work with the best, and call us today. ← Just Listed :: Beautiful Newer Construction near Marietta Square!